Here at Bradfield Stage Lighting, we are lucky enough to work with some of the loveliest clients and organizations in town. We got the nicest letter recently that reminded us of this, and it was so lovely we felt it should be shared. 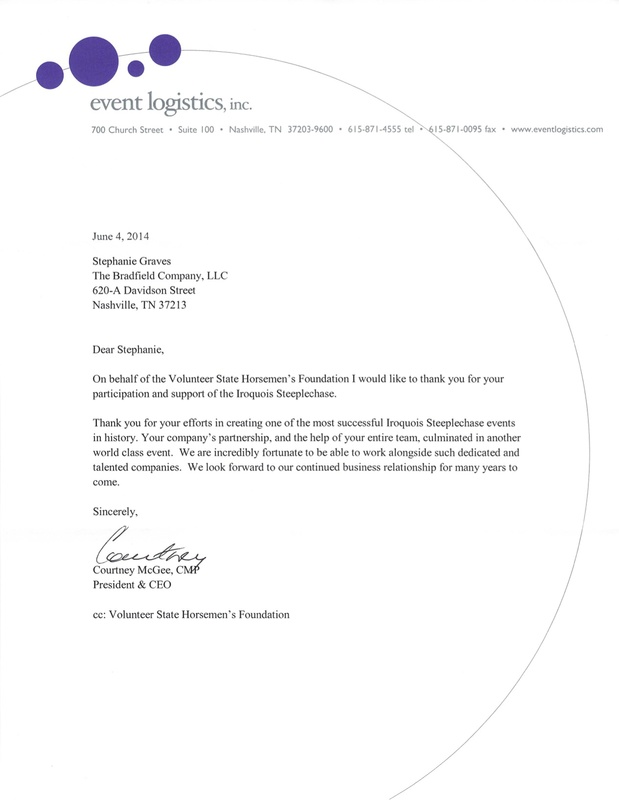 We are proud to have been part of the Volunteer State Horseman’s Foundation Iroquois Steeplechase for so many years. It’s an important Nashville tradition, and one that we love helping with. Working with such kind, gracious people as the event planners at Event Logistics makes it even more wonderful! Thank YOU for including us in such a Nashville institution, and thank you to ALL of our clients for continually reminding us why we do this and how lucky we are! Posted in Production and tagged grateful, iroquois steeplechase, praise, steeplechase on June 11, 2014 by bradfieldcompany.